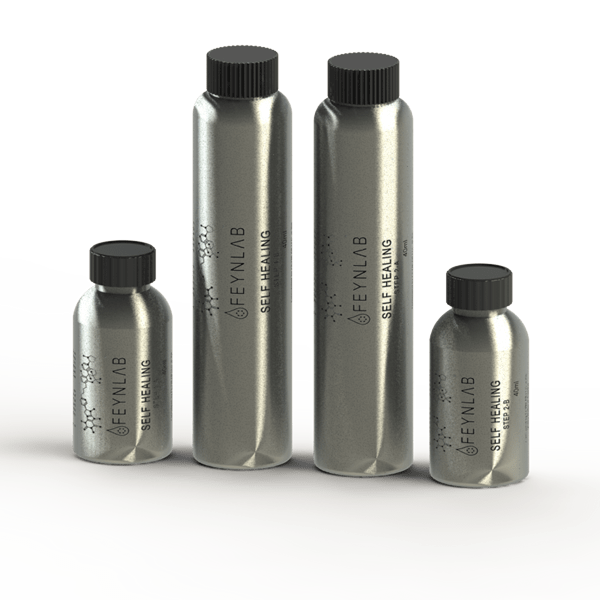 Engineered specifically to protect the porous structure of automotive Paint Protection Film & Vinyl from the environment — particularly water spots. 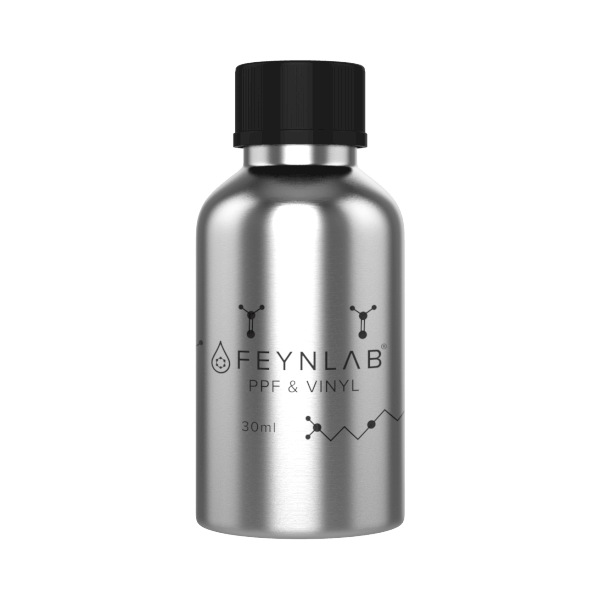 FEYNLAB® PPF & VINYL CERAMIC coating is specifically designed to protect the porous surface of Vinyl or Self Healing Paint Protection Films (PPF). Originally engineered for water spot protection, the high surface tension (hydrophobic properties) of PPF & VINYL helps keep surfaces cleaner for longer. Additionally, PPF & VINYL enhances the gloss to standard PPF while allowing matte Vinyl and PPF to retain their dulled appearance. PPF & VINYL is engineered specifically to enhance self healing top coat Paint Protection Films by adding water spot protection. Increased UVA and UVB ray protection. Impressive hydrophobic and self cleaning properties and ease of maintenance on Vinyl and PPF finishes. Enhances gloss on appropriate finish types, while leaving both matte Vinyl & PPF surfaces with a dulled appearance. Prior to application place vehicle in a well lit, temperature controlled 10°C-30°C (50°F-85°F), & contamination free environment. Have plenty (6 or more) new microfiber towels, 2 or 3 microfiber sponge applicators, 1 foam applicator on hand BEFORE application. Vehicle Trim: First coat all soft plastic trim pieces, headlights, taillights, black piano trim and other porous surfaces with their appropriate coating. 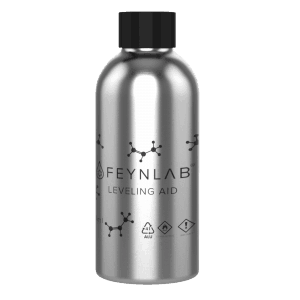 FEYNLAB® PLASTIC works great for this. Avoid these surfaces with ANY OTHER FEYNLAB® COATING and wipe off immediately if any product touches these surfaces. PPF & VINYL should always be tested on a small section of paint protection film before first use. 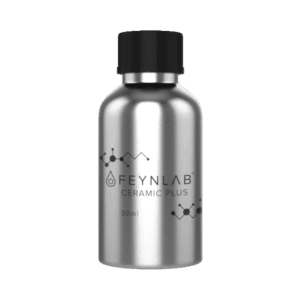 FEYNLAB® has tested the product compatibility with most major films in the industry. However, there are hundreds of films on the market, and it’s impossible to guarantee compatibility with all of them. Always perform a test spot if unsure’ preferably on a scrap piece of PPF not on the vehicle. 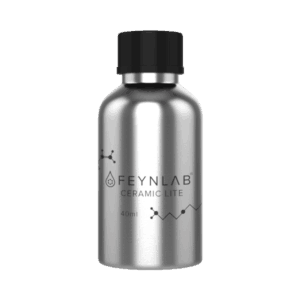 If the product causes a small test area to become hazy, either reduce the dwell time, or stop the application completely. Apply enough PPF & VINYL to a microfiber applicator to fully cover a single panel such as a door or half a hood. Next, fill in the framed area with slightly overlapping horizontal (left to right) straight lines over the entire panel. After, switch to vertical overlapping lines. This cross-hatching pattern ensures even application. After application, step back and look for any areas missed or those with excess product. If found, smooth out evenly with the applicator. This will ensure even drying across the panel. Allow PPF & VINYL to dwell on the panel a minimum of 10-15 min, until it is about 75% dry. Dwell time may vary depending on humidity and temperature. * Humid Climates 75%+ = Shorter Dwell time. To test removal readiness: lightly swipe a small spot with a gloved finger. If the swipe reveals a clean trail then remove. If the swipe smears then allow it to dwell longer. Repeat swipe test again in 2-5 min increments to determine wipe times. Wipe off PPF & VINYL following same pattern of application, using two clean microfiber towels. Towel A (left hand) will remove the majority of coating residue. Towel B (right hand) will remove any remaining residue, revealing a crystal clear surface. Varies depending on Vinyl or PPF manufacturer. Always perform a test spot to determine the appropriate manageable area of application. Carefully inspect all finished panels for leftover coating residue (high spots) before moving on to the rest of the car. Commonly edges, emblems and tight spaces tend to hold remaining product. High spots are much easier to remove if you catch within a 20-40 min window after final wipe than later on. All FEYNLAB® Coatings are subject to different dwell and curing time windows due to humidity and temperature conditions. In General, the higher the humidity level the quicker the coating will cure. If humidity level approaches 75% or higher then consider lessening the recommended dwell and wipe times for the coating. Additionally moving air will decrease coating dwell times for areas it contacts. Therefore, it is recommended to stop all moving air as much as possible during coating applications to ensure consistency for all portions of the vehicle. Coatings are best applied in temperature controlled environments of 10°C-30°C (50°F-85°F), with humidity as low as possible.